Yuyao Xinghua Pipe Industry Co.,Ltd. 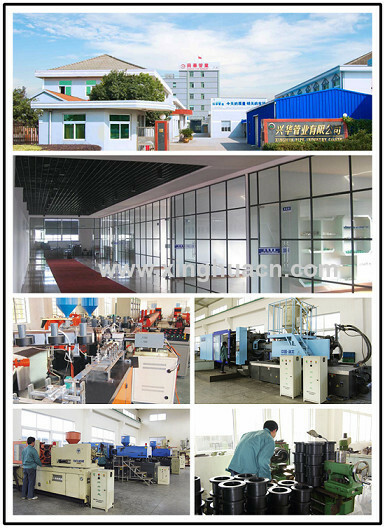 PP-R pipes, PP-R and HDPE fittings professional manufacturer Yuyao Xinghua Pipe Industry Co., Ltd is founded in 1998. Our major products range covers polypropylene (PP) plastic piping systems of pressure and/or hot water (heating) distribution and Polyethylene (PE) Fusion Fitting. We sincerely welcome friends from different countries to negotiate and do business with us by reciprocity to create our brilliant future together. Competitive Advantage: 1. Producer---The good price will be offered. 2. 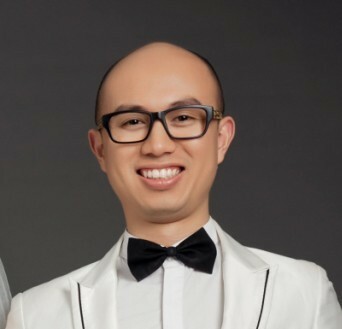 Experienced---Over 15 years production experience. 3. Professional ---The best service from experienced team. 4. 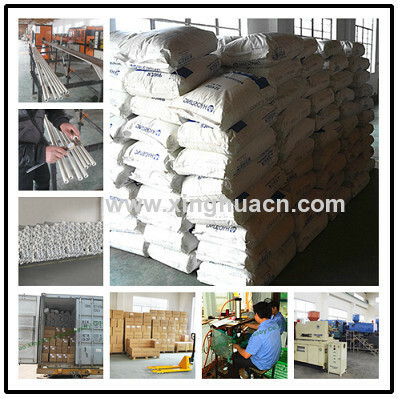 Quality Control---Good raw material and technology. 5. Customizable---OEM and ODM both ok. Packing:PPR Bypass Bend As German Standard will be put into a carton. Delivery Date: 20 working days. · Tailor-made and package services are available. PPR pipe and PPR plastic union, are a new generation of environment-friendly construction materials developed in the 1999.Besides plastic tubesmerits such as lightness, corrosion resistance, anti-deposition and long service life, PP-R tubes also enjoy some other advantages ,like hygienicness, heat-resistance and longer service life. Meanwhile, their coefficient of heat conductivity is quite low and they are good at heat preservation and energy conservation. Because of the technique of thermosol binding, they are convenient to be installed and reliable in joints. Also, the materials can be recycled. Therefore, they are worthy of the nameenvironment-friendly construction materials. 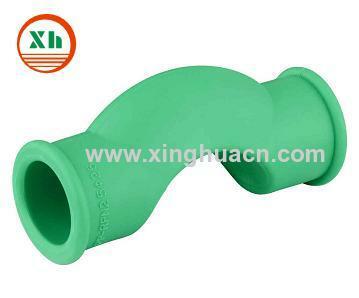 Our PP-R tubular products and pipe fittings are widely used in such areas as delivery of drinking water, production and delivery system of purified water and drinks, transportation of chemical fluids, heating pipes, circulation system of hot water, pipes in agriculture, planting in gardens and parks and ranches, etc. PPR pipes also known as polypropylene tube, put it plainly is we the people home life for water reform, an important material of the heating system. To waterways, heating these covert projects do not stay hidden, select high-quality PPR pipes is particularly important, then how to distinguish the quality of PPR pipes? 1) First touch the surface of the pipe by hand, to experience the texture is delicate, the particles is uniform. On the market today, PPR pipes mainly white, gray, green in several colors, under normal circumstances, recycled plastic can not make a white, so many people tend to believe that white is the best, in fact, this view is one-sided. As technology improved, the color is not to identify the quality standards ofPPR pipes. 2) Nose close to the pipe near the smell whether the smell. PPR pipe material is polypropylene, a good pipe is no odor, and bad some of the smell, it may be in polypropylene blending sake of polyethylene, so the smell of the pipe is best not to election. 3) Quality PPR pipe has a certain hardness, Nie Yinie with your fingers, feel rather hard, not easily deformed. Seemingly good flexibility,easily deformed tube, or quality problems, or it is not PPR pipe. 4) Good quality PPR pipe, has a certain elasticity, tough and not fragile, moderate intensity can smash the pipe of course, not good PPR pipe. Hardness does not equal good elasticity, we must carefully consider how drop is not broken PPR pipe. Because some unscrupulousmanufacturers add too much calcium carbonate and other impurities to improve the hardness of the pipe, this pipe toughness, a long timeprone to brittle fracture. 5) Using the method of fire test PPR pipe, very intuitive and very useful. Good combustion of PPR pipe, smokeless tasteless liquid melt outclean and transparent, poor quality of the pipe due to an internal mixture of recycled plastic or other impurities, and black smoke in thecombustion process, and even have a pungent odor. Packing: PPR Bypass Bend As German Standard will be put into a carton.